Congratulations, graduates: you’ve done exactly what you’re expected and legally required to do! America, listen, we need to talk. I know we can’t agree on very much these days, but we should still be able to find some common ground somewhere. May I suggest a starting point? Graduation ceremonies. 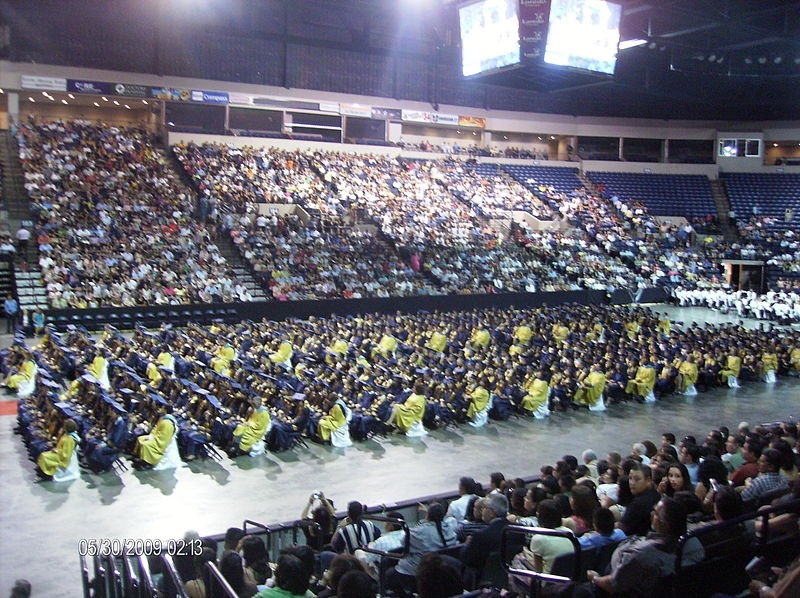 Specifically, graduation ceremonies for kids who aren’t actually graduating from anything at all. This was not, apparently, an occasion to celebrate a child so gifted and determined that he managed to complete 12 years of coursework before his 12th birthday, but rather an opportunity to pat a kid on the back for making the expected, required, and terribly non-momentous transition from 5th to 6th grade. An elementary school graduation party; which, I assume, follows an elementary school graduation ceremony; which likely comes a few years after the kindergarten graduation ceremony; which is preceded by the pre-school graduation ceremony; which is the first in a long line of ceremonies, including the middle school graduation ceremony and the high school graduation ceremony. Before legal adulthood, these kids will be the subject of more ceremonial adulation than Medal of Honor recipients, despite the fact that their “accomplishments” don’t quite rise to that same lofty level. We raise our children amidst constant preening, fawning, coddling, pampering, and congratulating, and then scratch our heads and wonder why they eventually enter adulthood so entirely unprepared for the rigors and challenges of the real world. We get them hooked on recognition and flattery at the age of three, and by the time they’re 23 they’ve become full-blown addicts. They develop a dependency on attention and affirmation, and can’t handle living in a universe that doesn’t stop to give them a cookie every time they complete some minor, routine task. This attention-seeking, “hey, notice me!” mentality can lead them down a dark path towards resentment, jealousy, depression, and Snapchat accounts. 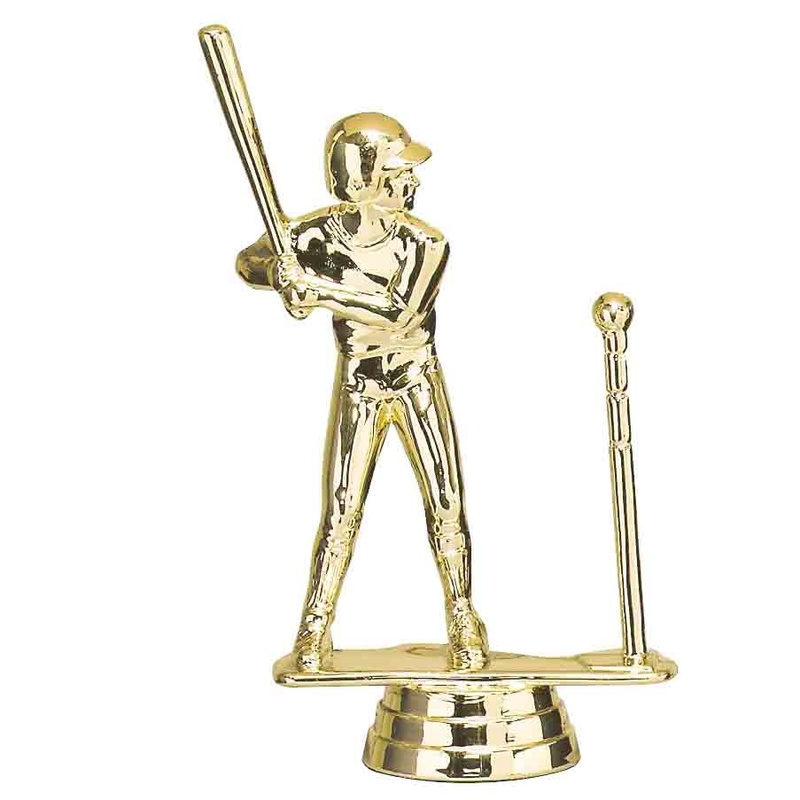 And here I thought we’d reached the pinnacle of narcissistic absurdity back with the invention of the tee ball trophy. A trophy. For tee ball. I mean, have you ever seen tee ball in action? Kids running every which way. Players switching sides in the middle of the contest. The batter swings, misses, hits the tee, runs to second, the second baseman doesn’t see him because he’s too busy eating grass or making sand castles, the runner moves back to first, then cuts across the field to third, suddenly the first baseman runs home while the catcher heads to the dugout for a juice box. Then a whistle is blown, everyone applauds, and one of the moms hands out snacks. There is no score. Nobody wins. Nobody loses. Nothing happens. There are no rules. There is no point. And everyone gets a trophy. A TROPHY. FOR TEE BALL. It’s pretty bad, but this graduation nonsense is worse. 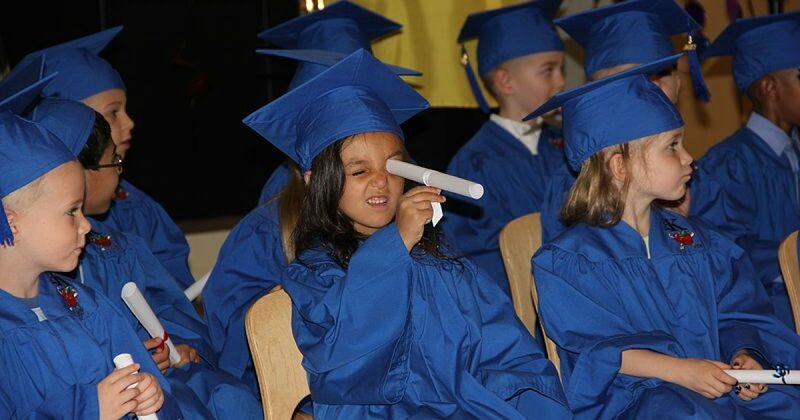 To think of the two concepts together — to consider the scenario where a child attends his t-ball trophy ceremony a few weeks before his kindergarten graduation party — well, it’s more than I can stomach. The whole charade is dishonest, really. We’re lying to these poor kids. Worse still, we’re diluting their real achievements (should they ever have any) by sounding the trumpet and sprinkling the confetti every time they tie their own shoes. What happens when they actually earn the confetti and the trumpets? What happens when they cure male pattern baldness or rescue a baby moose from a wildfire or something? Our words of appreciation will be muted and muffled, as their ears still ring from the 87 parades we threw for them between the ages of four and fourteen. But, I admit that I’m biased. This is all coming from the guy who even dislikes high school graduation ceremonies. Maybe I’m just a curdmugeon. Or maybe I don’t like them because they’re way too long, and my family can never leave early because our graduates are always at the end of the alphabet. Or maybe I’ve noticed that the pomp and circumstance all feeds into the faulty notion that you’ve somehow accomplished something just because you completed the steps you were mandated to complete. At the end of every high school graduation ceremony — staggering and gasping for breath after having spent 7 hours sitting on crowded bleachers listening to the principal mispronounce a lengthy list of names I don’t recognize — I feel like Tom Hanks in Saving Private Ryan. Shot in the gut, bleeding to death, he looked up at Matt Damon and muttered, “earn this.” The point being that Private Ryan hadn’t actually done anything to earn the enormous amount of effort and sacrifice these other men assumed on his behalf. Similarly, high school graduates haven’t necessarily done anything to earn the steady stream of praise and adulation they’ve received throughout their childhood, culminating in this bloated, overlong pageant. They haven’t earned it, but now they can officially begin the task of paying off that debt (right after they go to the bank and take on another massive debt to help pay for college). It would be the shortest, and therefore greatest, high school graduation speech ever delivered. Take off those silly robes and go do your chores. Succinct. Timely. Educational. It would be a fantastic speech for such a fantastically useless event. So, needless to say, I declined the invitation. They’ll have free food — it’s not ALL bad.